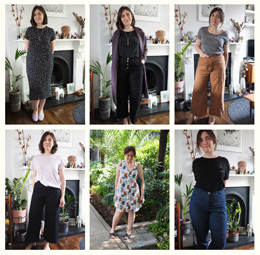 I haven’t been sewing a great deal lately: I’m guessing it’s something to do with the upcoming change of season coupled with not feeling too great about my appearance lately and not feeling inspired by any of the fabrics in my stash. General end of summer gloom! 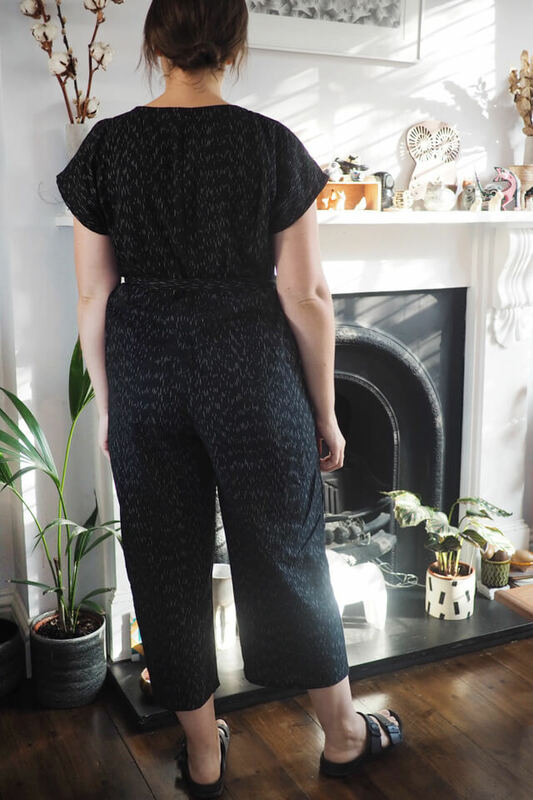 I didn’t push it and instead did a refreshing destash sale and started looking after myself better in other ways, then this weekend my inspiration naturally returned and I made this jumpsuit that I never want to take off. 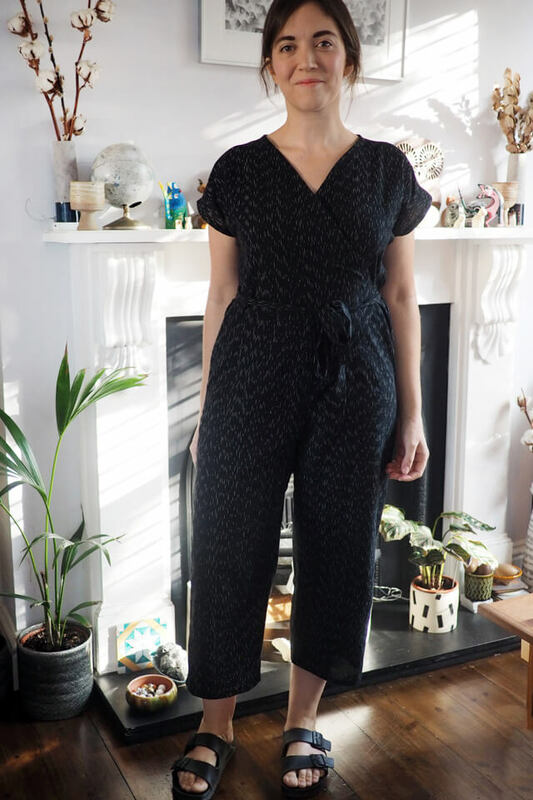 My inspiration came directly from Catherine of Threadsnips, who snapped up a lovely rare vintage wrap jumpsuit pattern of a similar style to this. 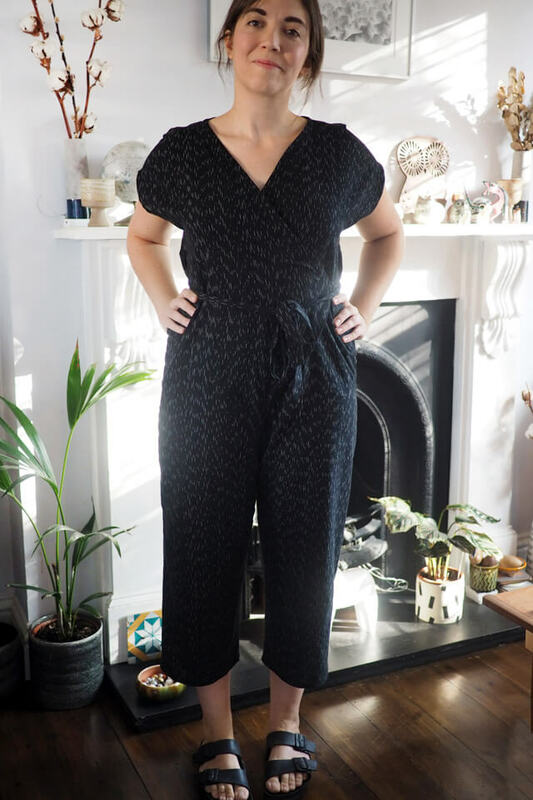 She very helpfully pointed out how a similar effect can be hacked from any other plain front jumpsuit pattern by simply extending out a triangle from the centre front and attaching ties. 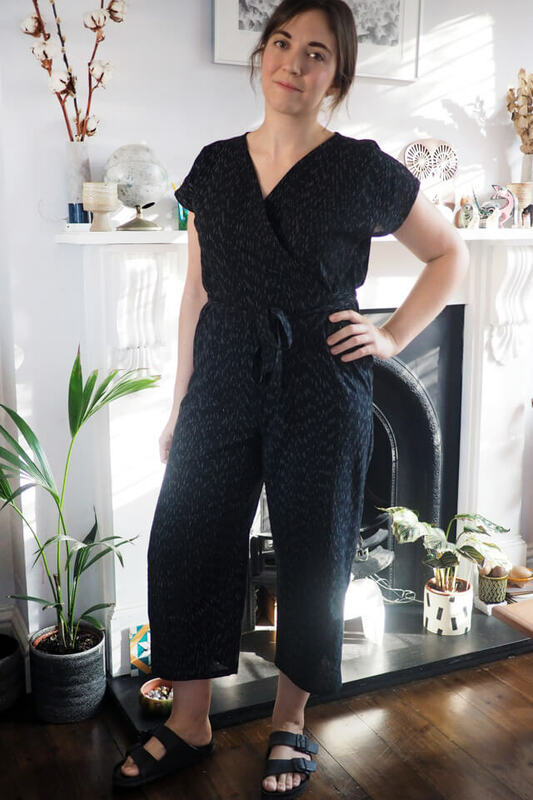 I followed her example using the fabulous Butterick 6312 as my base pattern (which I’ve made before and still wear frequently). I followed the v of the neckline down to the waistline then reversed it below the waist down to the crotch. 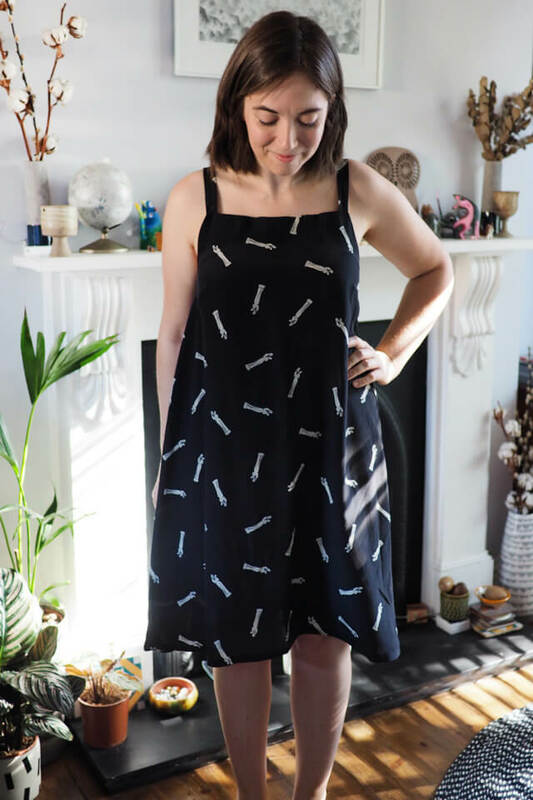 It’s always a risk cutting a hack directly onto your good fabric right off, but having made the base pattern before I thought it was low risk in this case. Construction was pretty speedy. 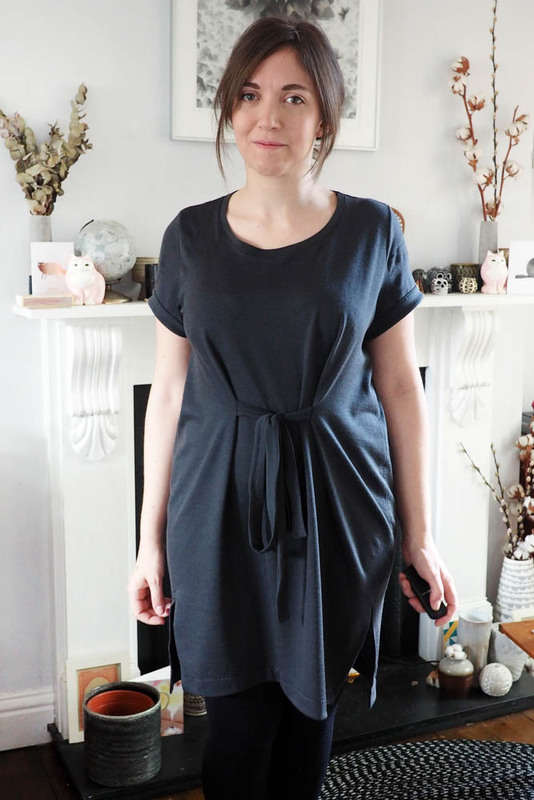 I made self bias to finish the entire neckline including the wrap edges all in one go. At the crotch I pinned the overlap in place while wearing it and topstitched it down for a couple of inches to secure. I made two straps and sewed these onto the points, and finally made a buttonhole on the right-hand side seam to thread the inner strap through. There is no need for any other fastening as the wrap opens wide enough to step into it, woohoo. 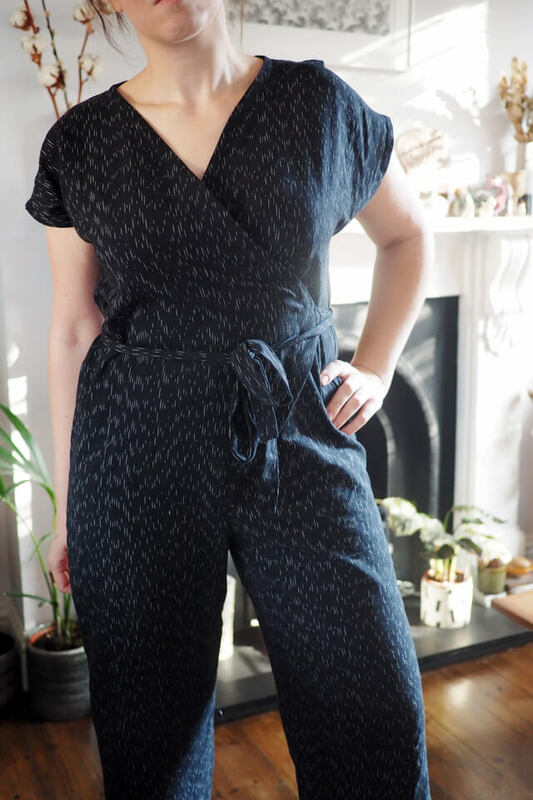 I treated myself to the fabric with the destash earnings: It’s cotton ikat from Merchant & Mills, the same fabric type I used for my first version too. I needed 3 metres as it’s quite narrow and used nearly all of it. 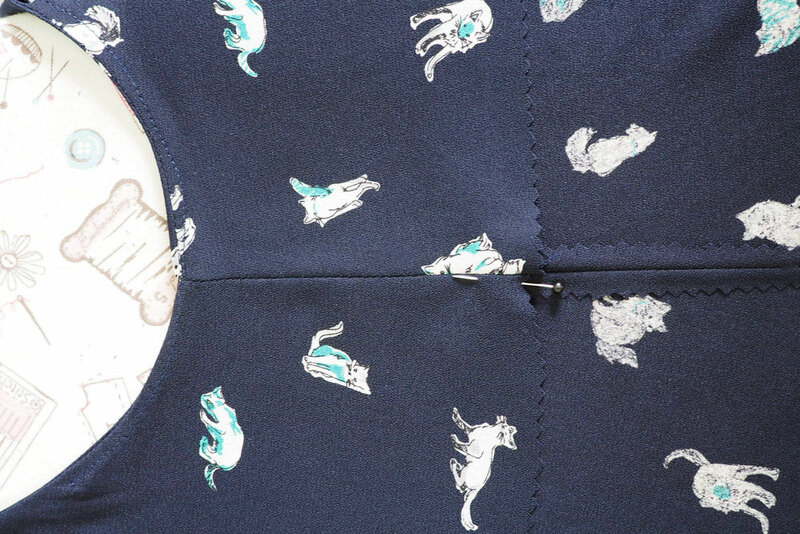 This fabric is the dream to work with and to wear; I really could imagine a wardrobe composed of little else. I suspect it’ll be fine to wear in autumn and most of winter too. Next time I plan to alter the fit slightly around the neck as it’s not spot on, and I plan to curve out the v a little so it sits better on the upper chest. 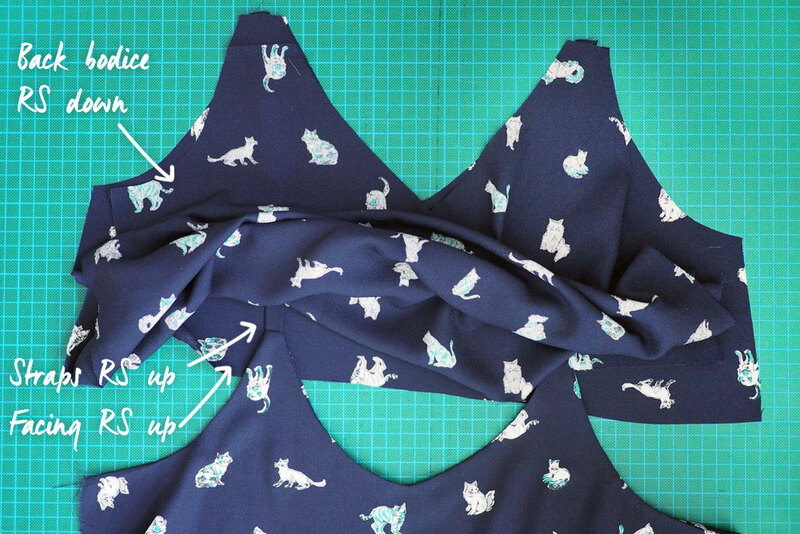 I might attempt a swayback too as I get fabric pooling under the tie belt. And hmmm, pockets, it definitely needs some sort of pocket action next time. Tweaks made, there’s a quite serious risk I could make dozens of these (in an army of ikats?) and wear little else! It’s crazy comfortable and I feel really good in it, which is pretty much all I can ask for at the moment. 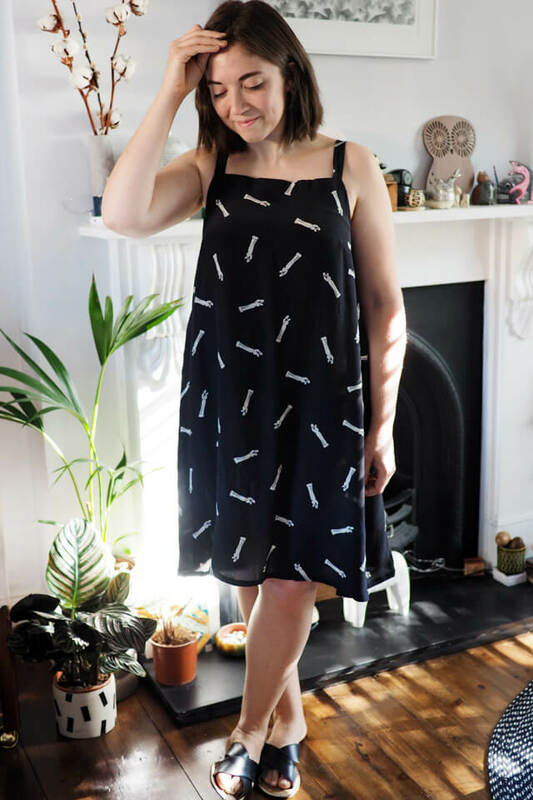 This dress skipped both the sewing and blogging queue. 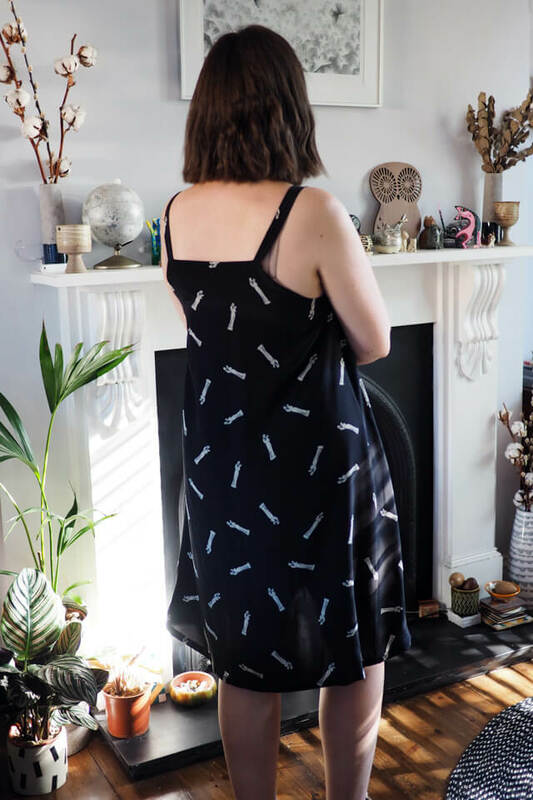 The sewing part was pure necessity because London has gone full heatwave (or summer is actually just starting for really-reals), and the blogging part just took advantage of this sweet golden morning light. 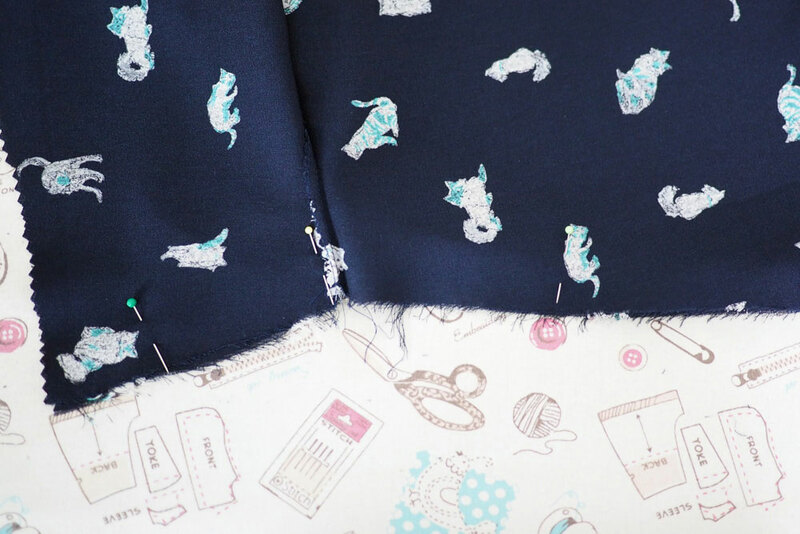 I’ve really got quite behind on blogging, because I bought this fabric on a recent trip to Hong Kong and I really expected to write up the fabric shopping situation there before sewing any of my purchases up! Anyway this is an absolutely gorgeous silk crepe de chine that I bought for about £7.50 metre in a treasure trove just off Ki Lung Street in Kowloon. 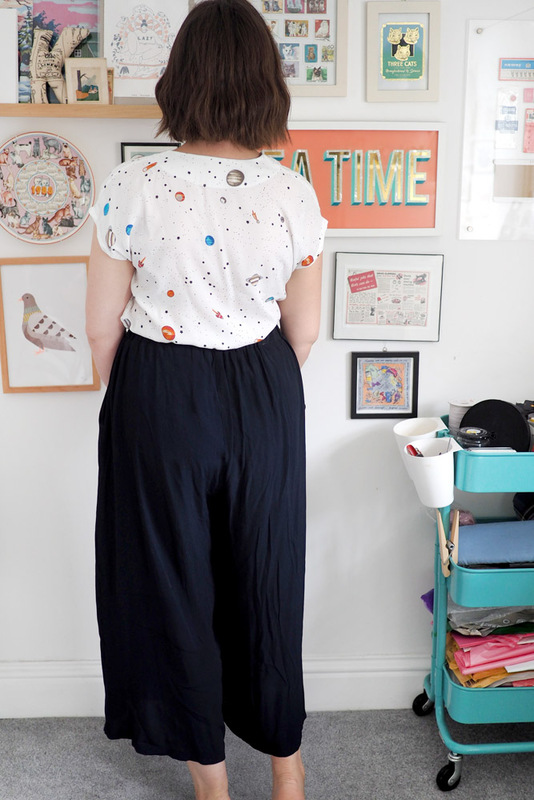 The shop had a rainbow of plain silks and loads of my weakness, fun ‘conversational’ prints. It was unfortunately cash-only and one of the last places I stopped, so that hampered my buying a touch, but I’m very pleased with what I came away with, especially this one with its weird lady statuette print. 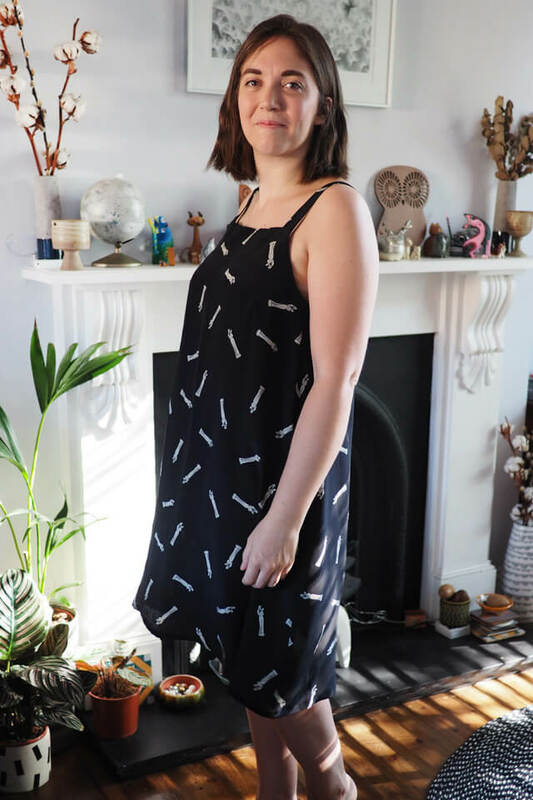 I decided to sew the fabric up rather impulsively, as I didn’t want to be too scared to use it and have it sitting around for ages, and silk crepe is perfect for aforementioned sticky heat season. 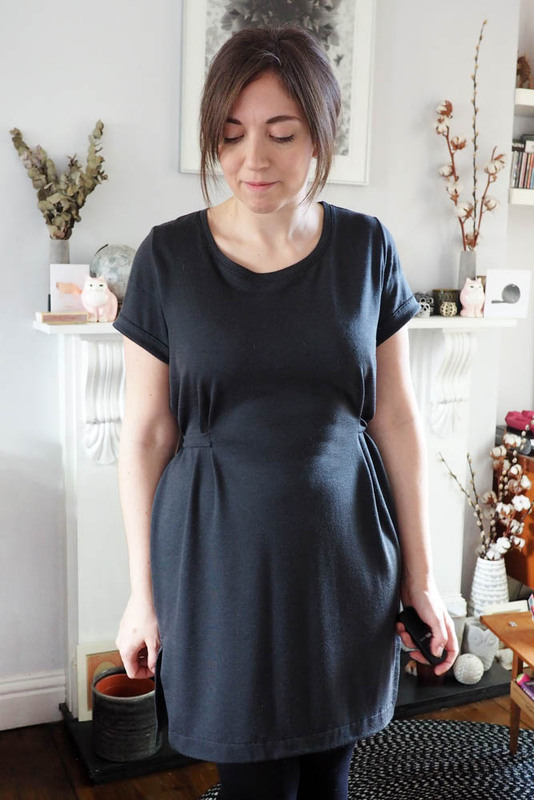 I really wanted a chuck-on dress and have seen lots of this pretty square neckline around. 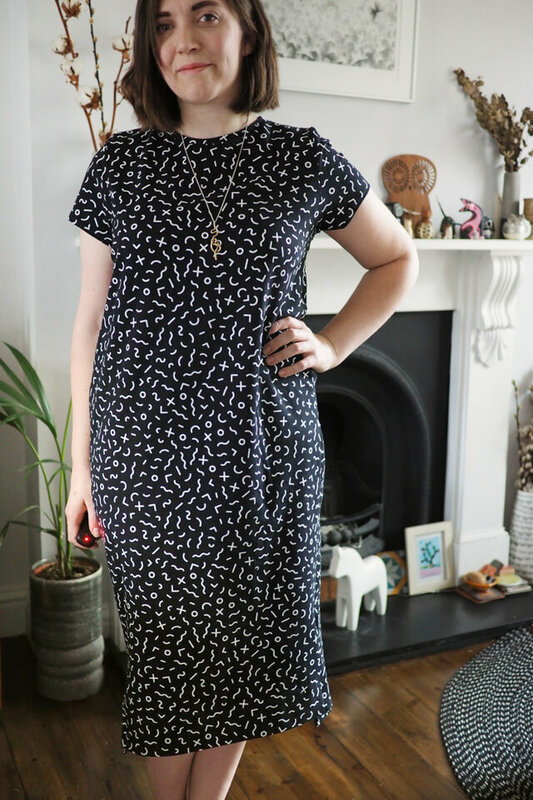 The problem is this style is all but impossible to fit on me out of the packet. 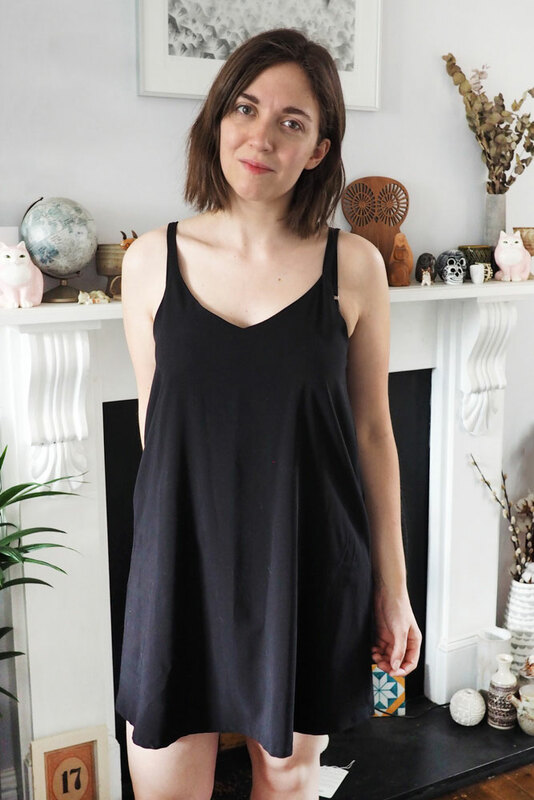 I look at people wearing things like the Tessuti Claudia dress in wonder: HOW is it not gaping at the top or straining at the bust?! HOW did your hips fit into that elegant column shape?! Pear-shape-hollow-chest problems. I knew to get the fit right I would need to go a self-draft/extreme hack route. Here’s how I drafted the pattern. 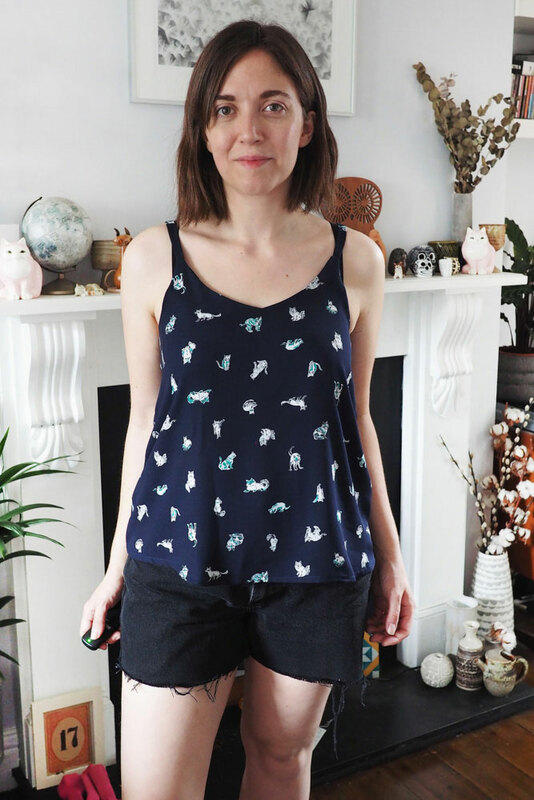 I used the Salme Double-Layer Cami pattern as a basis, which I had knocking round in PDF from ages ago (it looks like Salme have disappeared off the internet so no link, sorry); the True Bias Ogden would also work although it lacks darts. 2. Swing out the lower piece around this point until the gap at the bottom is opened up by around 2 inches. (Your final ‘swing’ will be 4x this measurement as it will be doubled on the front and back.) You might close the bust dart completely in the process, or just make it smaller. 3. Fill in the gap with paper, tape down and true up the side seam at the dart. 4. 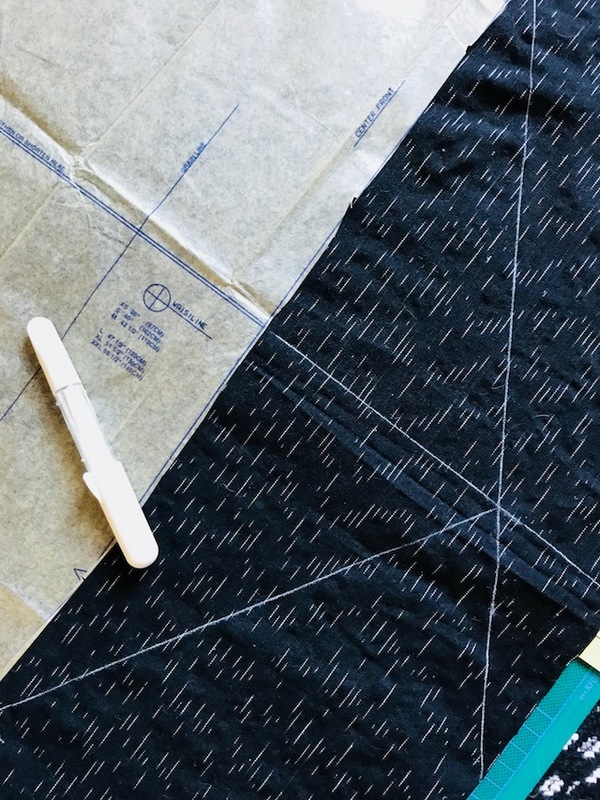 Add length, following the angle of the side seam and the curve of the hem. 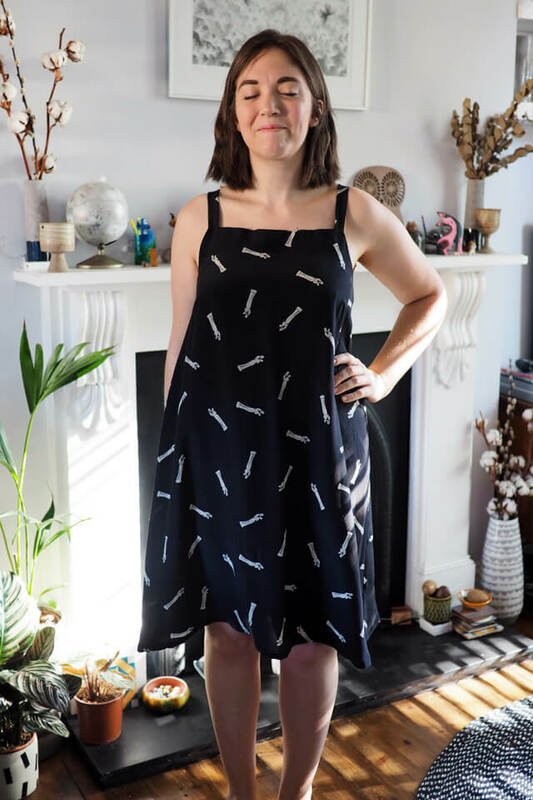 Mine is 32″ from underarm to hem. I would’ve gone a bit longer but this was all my fabric would allow. 5. Repeat these steps on the back, but take the vertical cutting line nearly all the way to the top and swing out from there. 6. 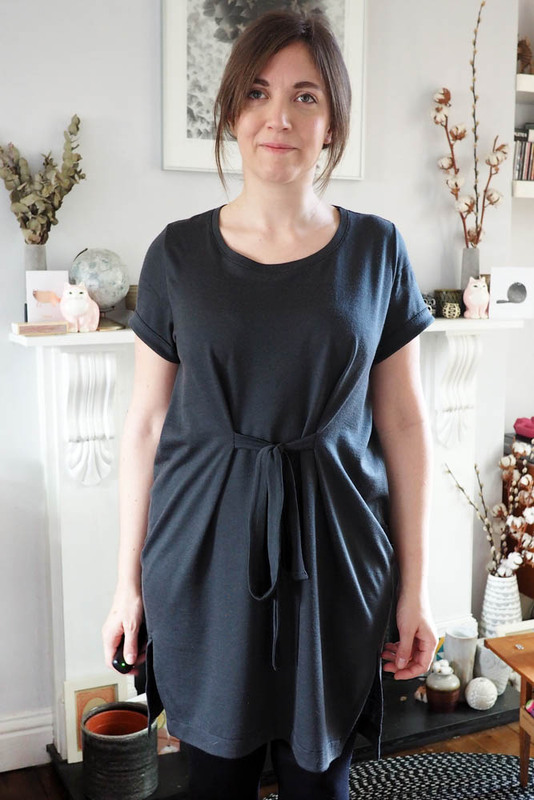 Square off the neckline from the strap points to centre front. Fill in with paper. 7. Draft facings off the new front and back pieces. Come down about two inches from the underarm and curve up to the centre. 8. 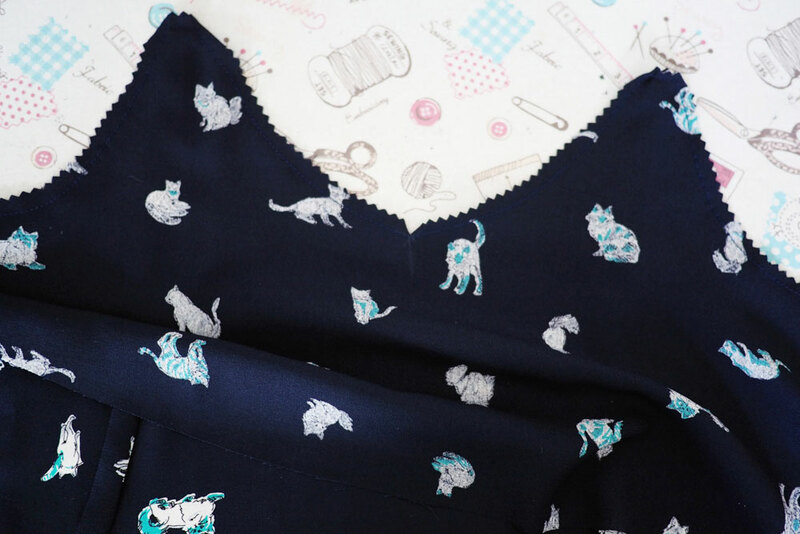 Make a toile! 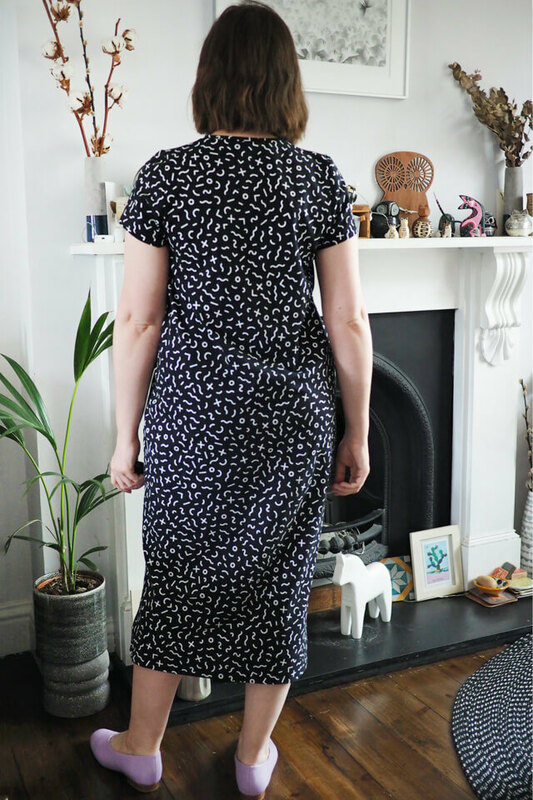 This is quite important to check the level of flare is good and that the front and back necklines are not gaping. I used my alternative construction method when it came to adding the straps and facings. Annoyingly I found that even after a toile and making further adjustments, the front and back STILL gaped, just enough to be noticeable and annoying. My upper chest is very narrow and rather concave, so I can see why it’s difficult to encourage fabric to hug it nicely. I approached the solution differently on the front and back. On the back I nudged the straps inward by 1/2″ and shaved a bit off the side curve, which isn’t ideal as it doesn’t follow the line of my bra straps any more. 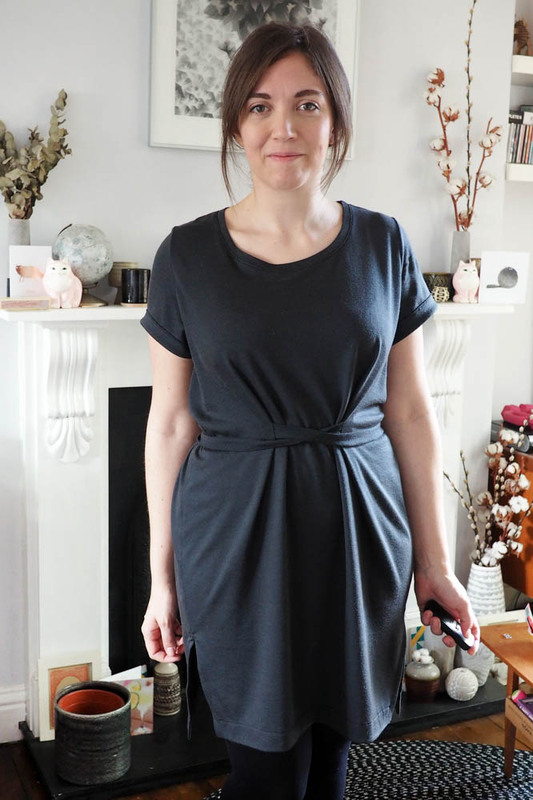 On the front I sewed a strip of flat elastic into the facing seam, pulling it taut slightly. 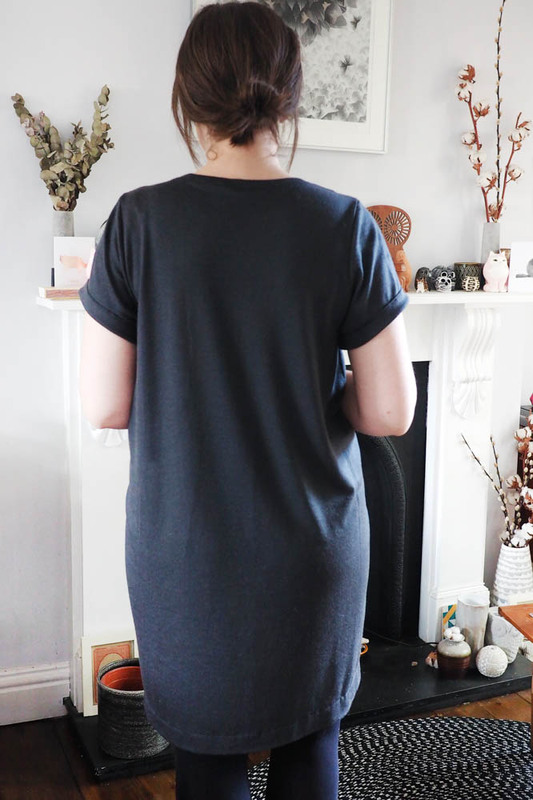 The result is a slightly puckered front neckline but it does finally lay flat. I’m not sure how I’ll fix this for next time. A narrow band across the top which is tightly eased-in to the bodice edge perhaps. Outtake for ya to finish! 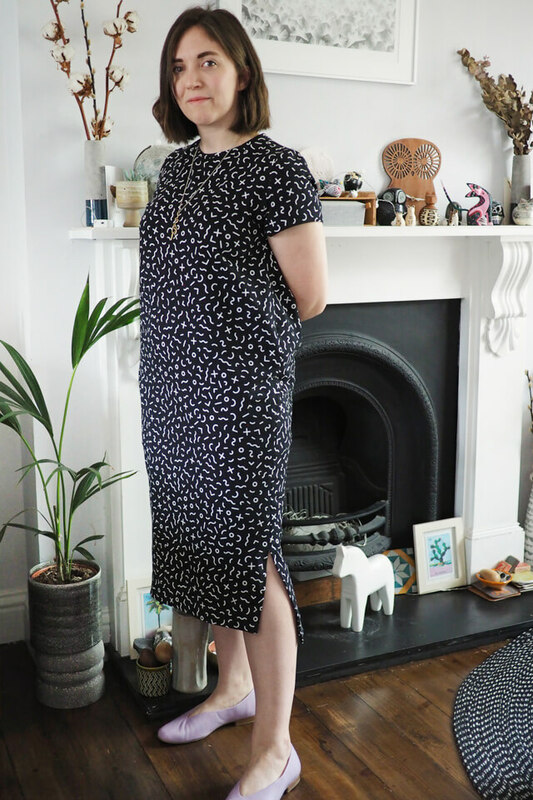 Despite the minor neckline issues I’m thrilled with this dress and it definitely beat the heat today. Josh took these photos as my self timer has broken and I really like how they turned out. Much nicer to be smiling at my boyfriend than a screen… he’ll be delighted to have got the job I’m sure. After the Coat project saga, I really wanted a nice palate cleanser, and this dress fitted the bill perfectly! 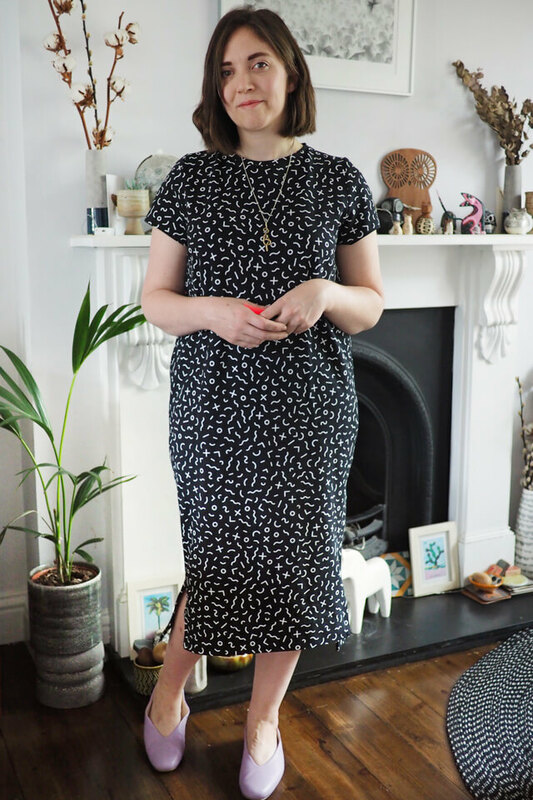 I’ve been Pinning lots of midi dresses lately as they seem like just the thing to wear on these in-betweeny not-quite-spring-yet sort of days. 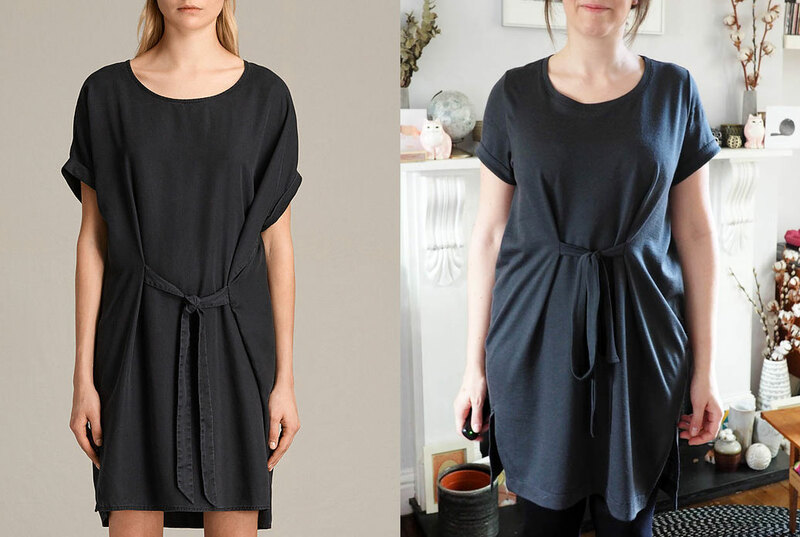 It’s a super simple hack of Named’s Inari dress. I added 30cm of length at the hem (in fact I just taped a piece of portrait-wise A4 paper to the bottom, heh) and ended up taking a deep hem, so it’s around 20cm longer than the Inari as patterned. 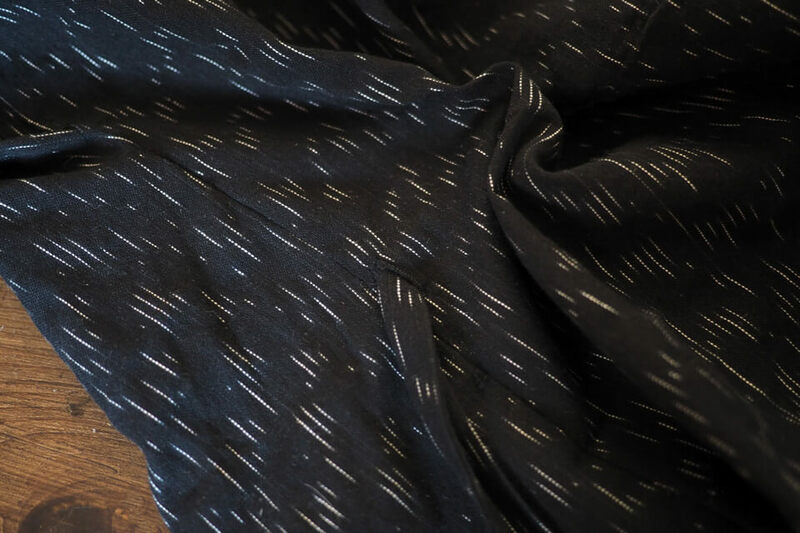 I fine-tune the fit of the Inari each time I make it and for this knit fabric I ended up taking one-inch seam allowances to bring it in a bit. 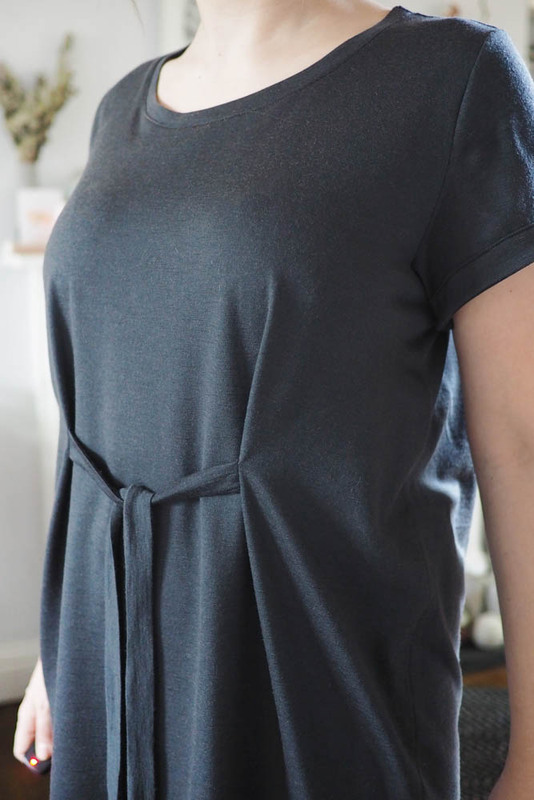 It’s still loose through the middle and tighter at the hip and hem. I made the side split proportionally longer too. 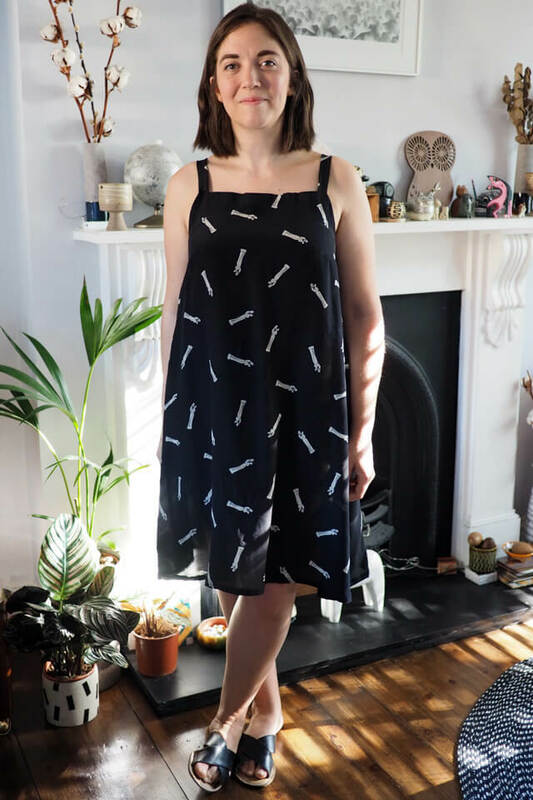 The awesommmeeee fabric is from Maud’s Fabric Finds, one of my favourite places to shop because most of the fabrics are organic and the customer service is so great. (Maud found out this fabric was narrower than expected after my order, so she added another 70cm for free.) This print seems to be sold out but here are some similar ones. 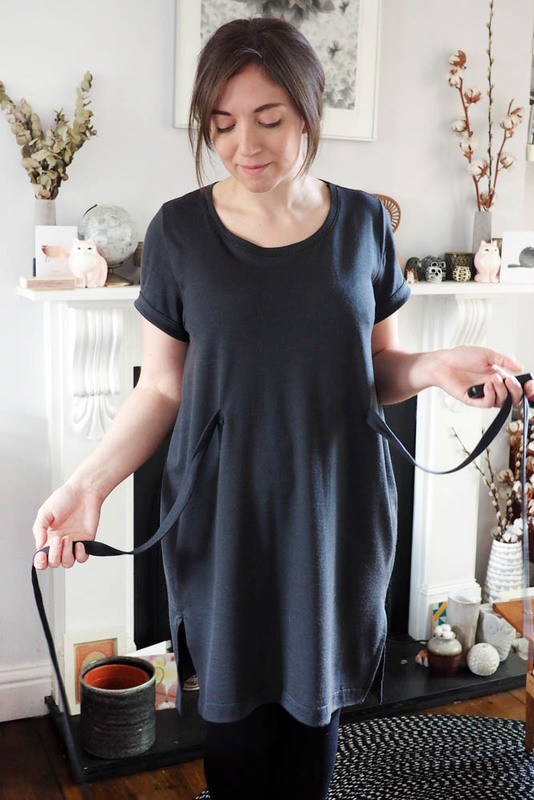 It’s between an interlock and sweatshirting weight so quite thick with lots of stretch and recovery. 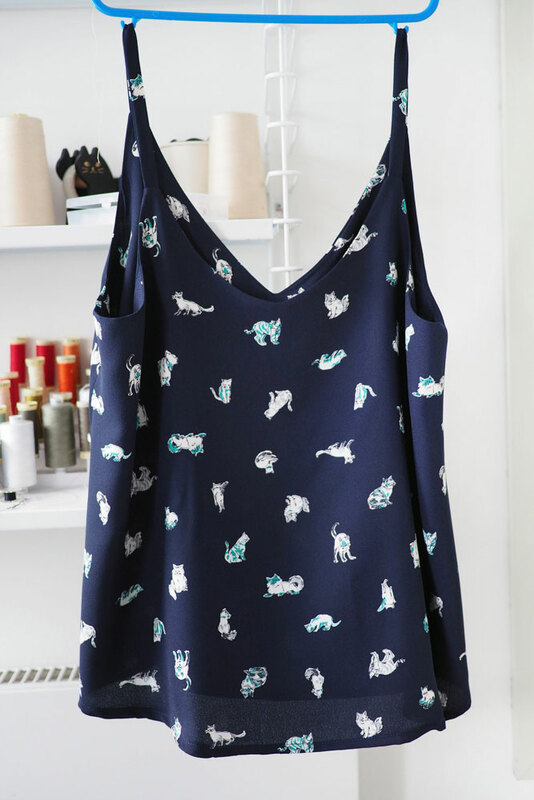 And pyjama-comfortable, needless to say. I think this’ll be on regular rotation until Autumn. 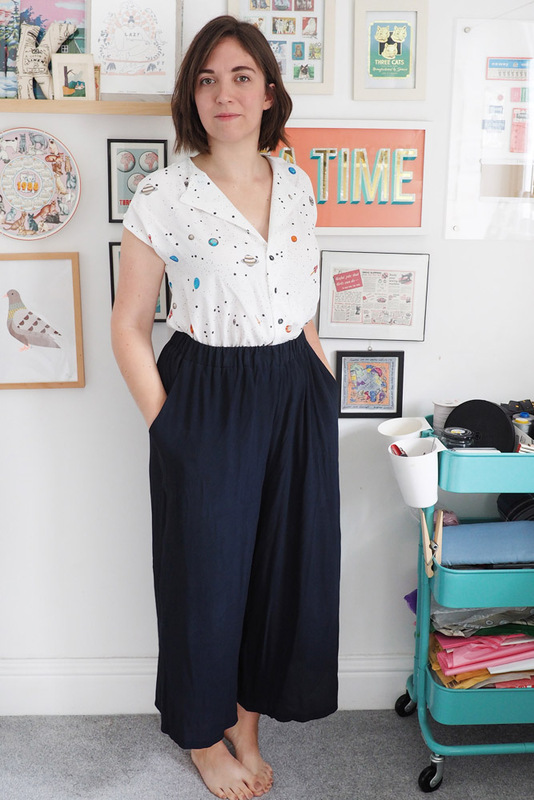 A new little summery outfit of two simple separates, both of which are hacked from Named patterns that I’ve sewn before. 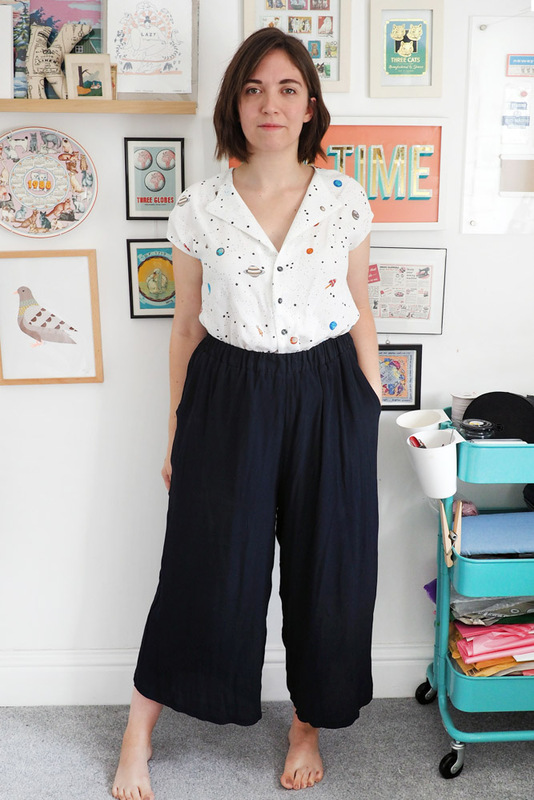 The trousers are the Ninni culottes, sewn up in a lush indigo crinkle rayon that the Fabric Store kindly sent to me. The only thing I changed from my first pair was to convert the pockets from side seam into front yoked. 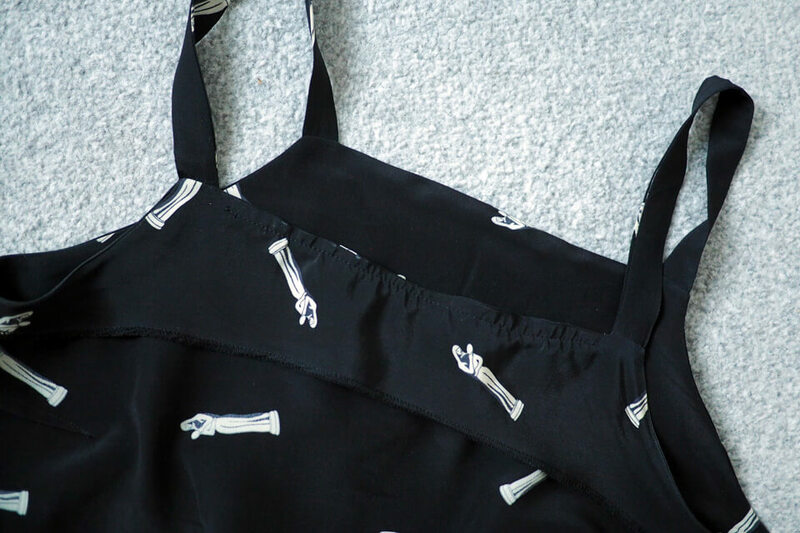 I just can’t stand the way side seam pockets add bulk and flap around, and these yoked ones are actually much easier to prep and sew so it’s win-win. 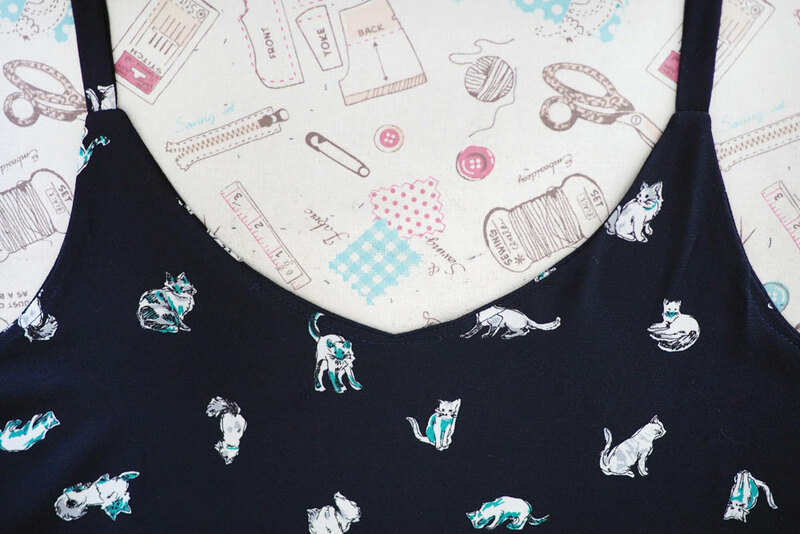 Here’s a quick tute; you can prepare paper pieces or cut these straight onto your fabric. 1. 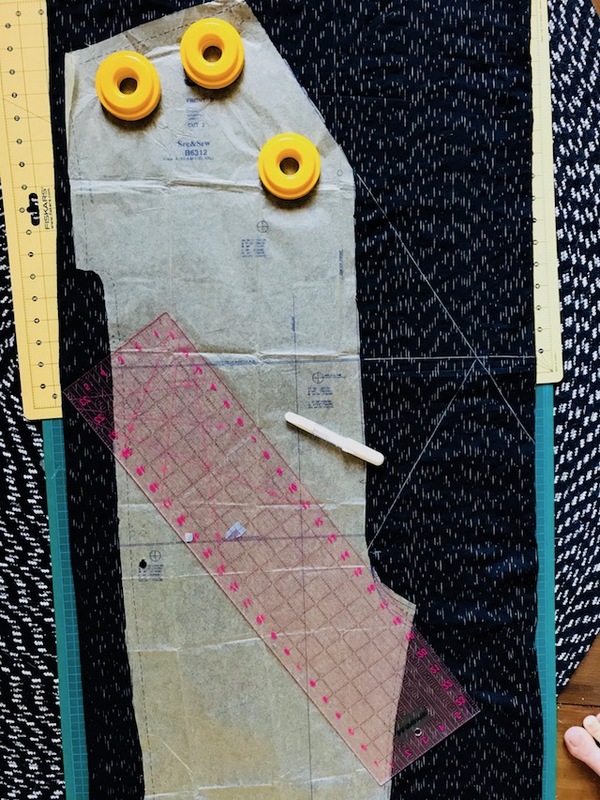 Cut a rectangle for the pocket bag/facing, approximately 16″ wide by 11″ long. The width will be 2x the width of the final pocket bag and the length will be the final length of the pocket. 2. Lay the rectangle on top of your front trouser piece, right sides together and matching the side seam and waistline to the rectangle edges. 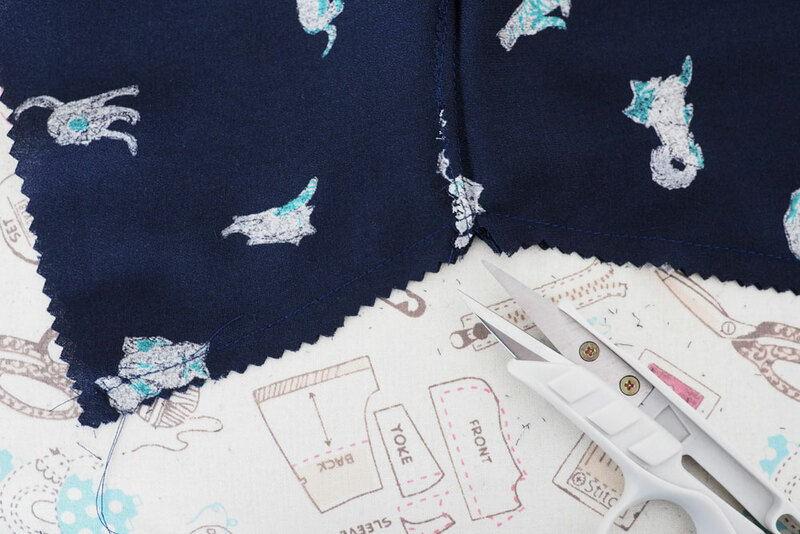 Cut a curved or straight line through both pieces at the trouser side seam edge. This will be the pocket opening. Mine starts about 3″ in from the edge at the top and is 7″ long. 3. 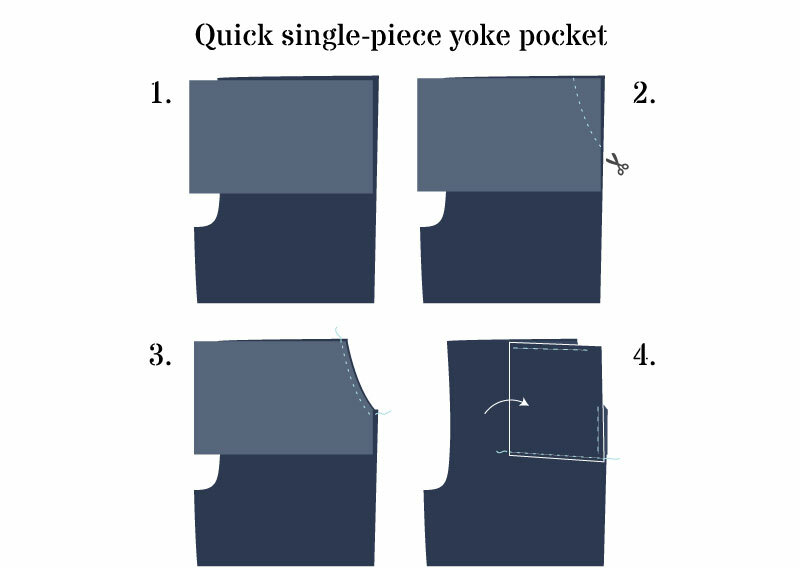 Sew this pocket opening seam using a small (5mm or so) seam allowance. 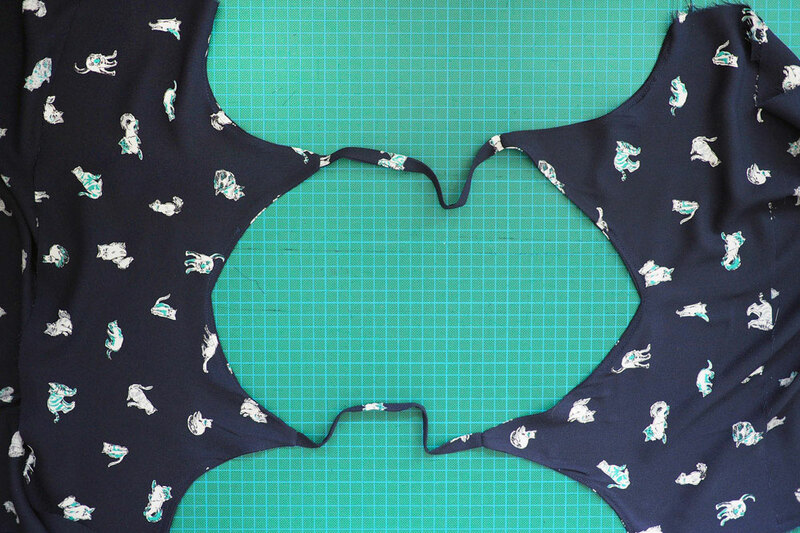 Clip if necessary to release curves, press seam allowances to the pocket facing piece, and understitch. 4. 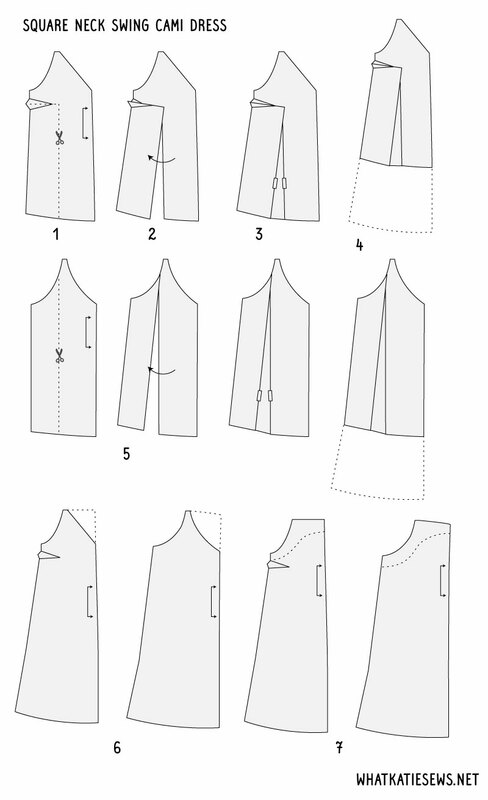 Fold the pocket bag in half, lining up with the trouser waistline and side seam. 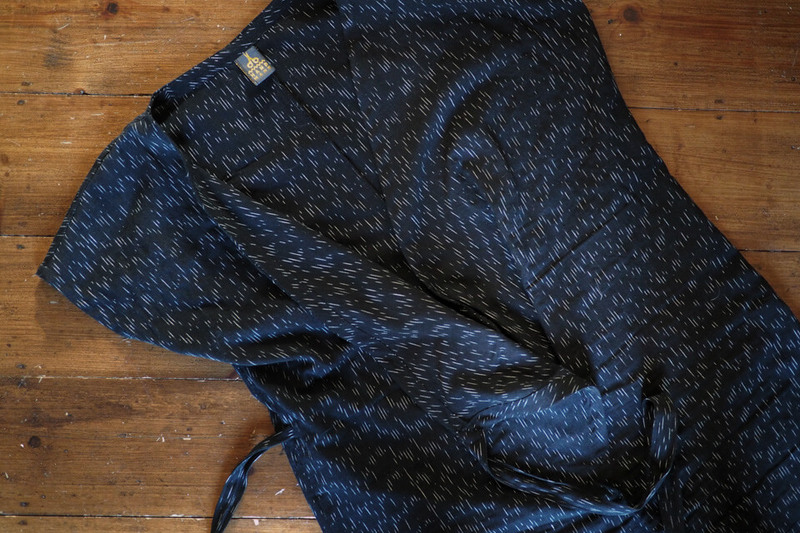 Sew and finish the bottom edge of the pocket bag, then baste the top and sides to the front trouser leg. Construct the rest of the pattern as written. 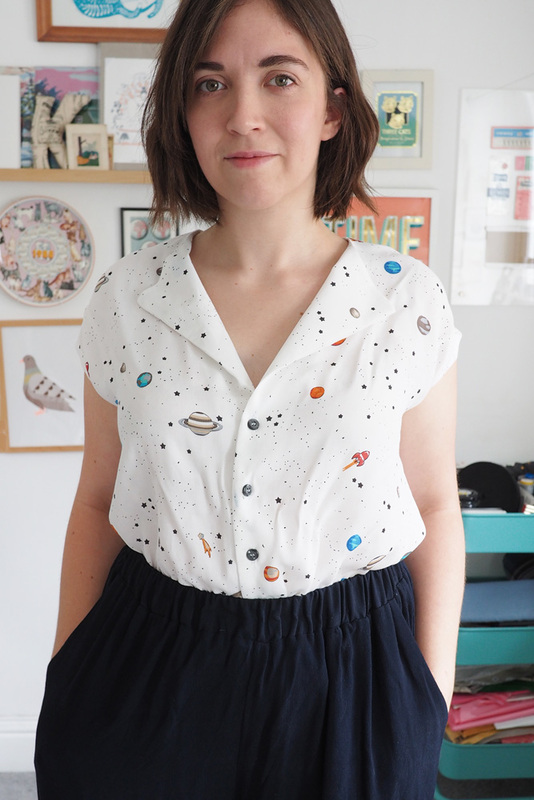 I’m considering this a wearable toile, as this space-print fabric (from The Textile Centre) was an impulse buy that isn’t really in my usual style stratosphere but I just couldn’t resist it. Next time I’ll raise the kimono sleeve line an extra half-inch or so as they’re a little bit snug. Otherwise I think this hack came out rather cute, and it didn’t take very long despite the amount of steps. I was sort of more in the mood for drafting than sewing so it was a nice project to try out some advanced hacking.